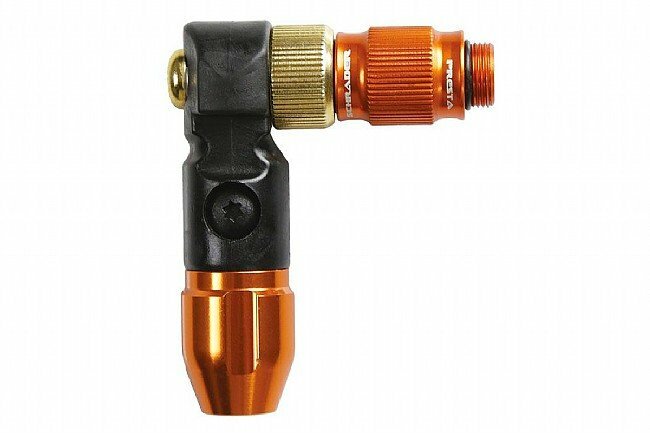 The ABS1 Pro Pump Head from Lezyne is a flip-thread ABS chuck that’s compatible with both Presta and Schrader valves. Constructed of machined aluminum and composite matrix materials, this chuck is exceptionally robust. A fluid brass swivel further augments its durability for long-lasting integrity. Lezyne’s flip-thread system allows the chuck to “flip” for threading to either Presta or Schrader valves. Its 90° angle provides improved function and usability while an integrated Presta valve core wrench ensures easy core tightening and removal with tubeless setups. Two chuck types available: high pressure and high volume. Weight: 43g (high pressure); 47g (high volume). Pump compatibility varies between chuck types. Lezyne CNC, Alloy, Classic, Steel, Sport, and Macro Floor Drive pumps. Lezyne Alloy, Steel, Sport, and CNC Digital Drive pumps. Lezyne Macro Floor Drive Digital pump. Lezyne Alloy Over Drive pump. Lezyne Classic Over Drive pump. Lezyne Digital Over Drive pump. I replaced an ABS-2 head with this new one and like it quite a bit. The ABS-2 has a goofy spring inside that decided to destroy itself, this new design has no springs and fewer o-rings so I'm happy. 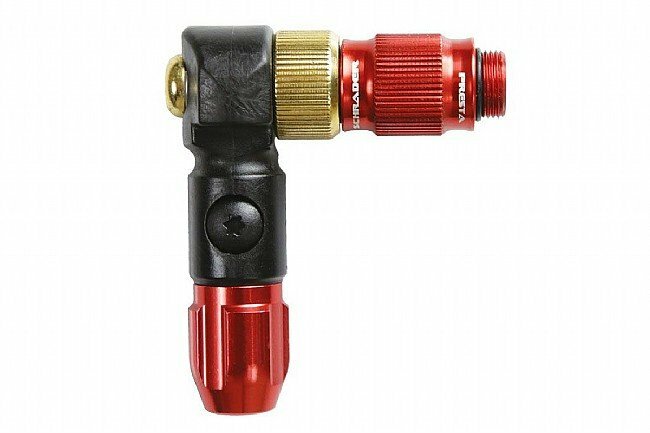 You unscrew and flip the end to switch between presta and schrader valves, which is a little annoying, but it only takes a few seconds (same as the Micro Floor Drive XL). I don't know how useful the valve core wrench will be but it's a harmless addition, so I like it. Overall I like Lezyne's pumps and this new pump head doesn't disappoint.